Although the ketogenic diet can be a healthy and satisfying diet for everyone, modifying it around other dietary restrictions can be challenging. People with dairy intolerances or allergies often struggle to adapt keto recipes, many of which rely on dairy staples like butter, heavy cream, and cream cheese. And good dairy-free alternatives can be hard to come by. And much more! 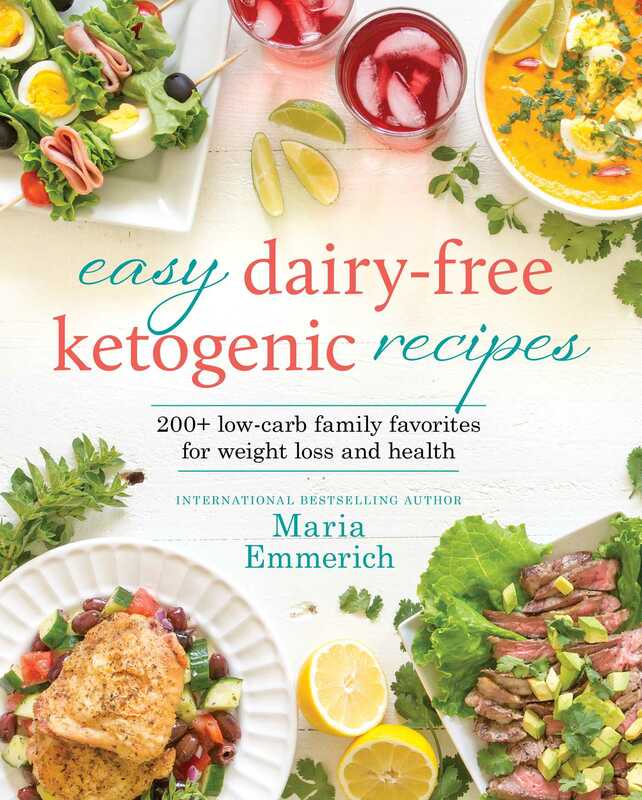 Maria has gone out of her way to create an entire book of keto recipes that will appeal to everyone, whether they consume dairy or not. With over 175 recipes, multiple meal plans catering to many different dietary needs and allergies and including AIP and vegetarian meal plans, Easy Dairy-Free Keto strives to be the book that reaches the entire keto audience and becomes a staple in your keto kitchen.